If you have ever seen my Instagram or generally myself in person, you'd know that I am never without my nails being painted. I've been obsessed with nail varnish since my mid-teens (it was hard in highschool where we were made to remove our nail varnish if the teachers noticed it, so it was nudes for the school years... but now I am free! ), painting my nails pretty colours and pretty designs was what actually made me stop biting my nails (those gross tasting nail varnishes never worked on me) and my nails are now really healthy and I can grow them pretty long! This is one of the easiest, but also messiest techniques, but it can create such an amazing outcome. 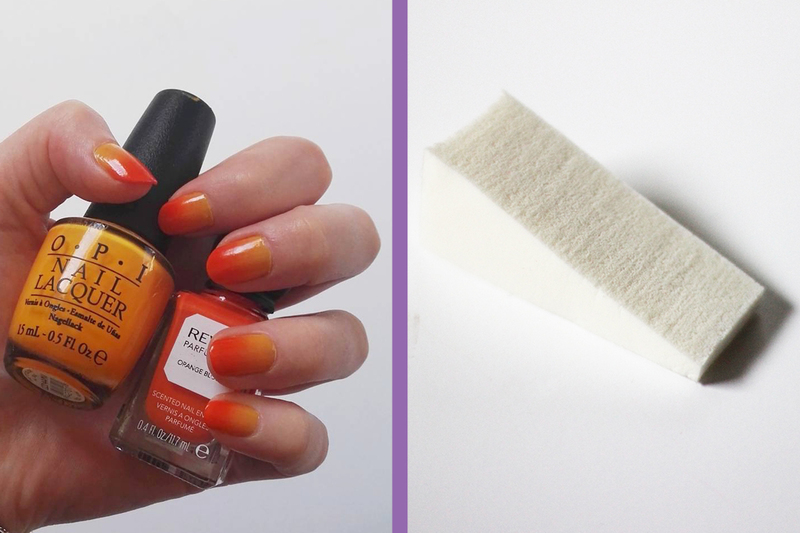 This can take a while to do as the sponge likes to do what all sponges do and absorb the nail varnish, but just keep at it and it'll come out amazing! What's great is that you can substitute two colours for a glitter polish to get as much glitter on the nail with as little liquid. This one is a little more tedious than the one above as it requires waiting for layers to dry before you start on the next, but again, the outcome can turn into something fantastic! The best way to go about this is to go from lightest to darkest, as the lighter colours won't always come across 100% opaque and you may still see the colour underneath. With the design I did pictured, I did the lavender first then the medium-purple and then the dark one. 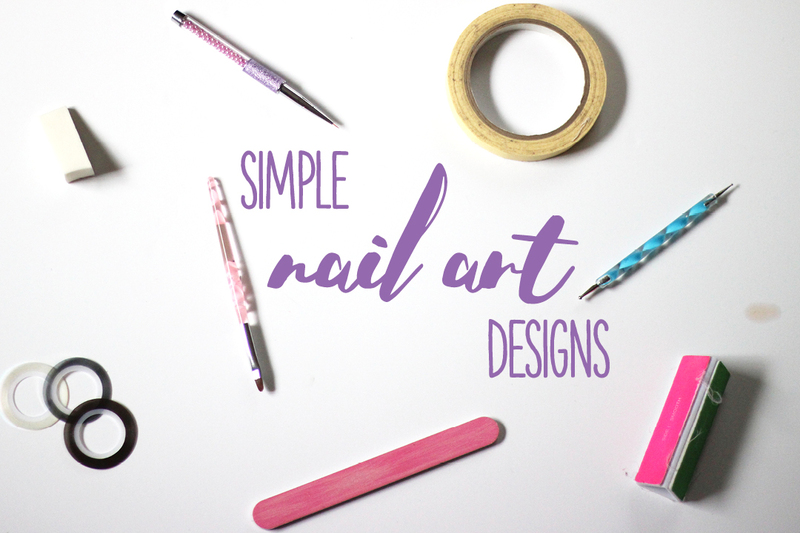 With this technique you can do a tonne of different designs; the typical half-and-half (vertical, horizontal or diagonal), french nails and you can even add more cut-aways to add in extra colours! I also like to use a thin piece of tape and paint completely over it and pull away to leave a negative-space feel. This is again quite a simple technique, but what you do with the dotting tool can change the outcome from being pretty cool to really cool. 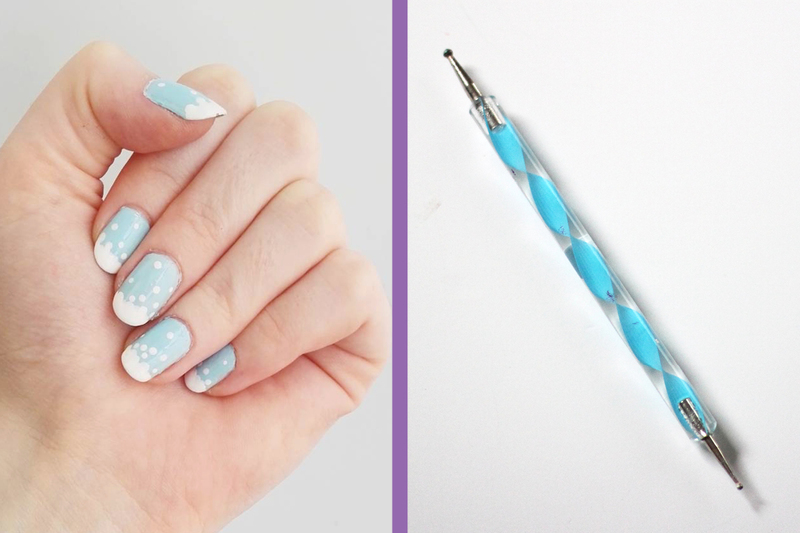 Keeping the angle the same when you pick up the nail varnish to when you put it on your nail is key to keeping the dots as circles and not weirdly shaped ovals or splodges; also not picking up heaps of nail varnish as well as using a not-too-thick nail varnish will help this too. Patterns I like to make with the dotting tool are the typical polka dots, snow (shown above) and daisy flowers! This would be the most tedious out of all the techniques shown here, and depending on how stead hand you have can depend on how detailed you can make the art. Finding the balance between not picking up too much paint so it bleeds, and picking up enough so that it draws a straight line can be quite difficult but once you get the hang of it - practice first, different thicknesses of nail varnish can effect how easily or difficult this can be - it gets quite easy. 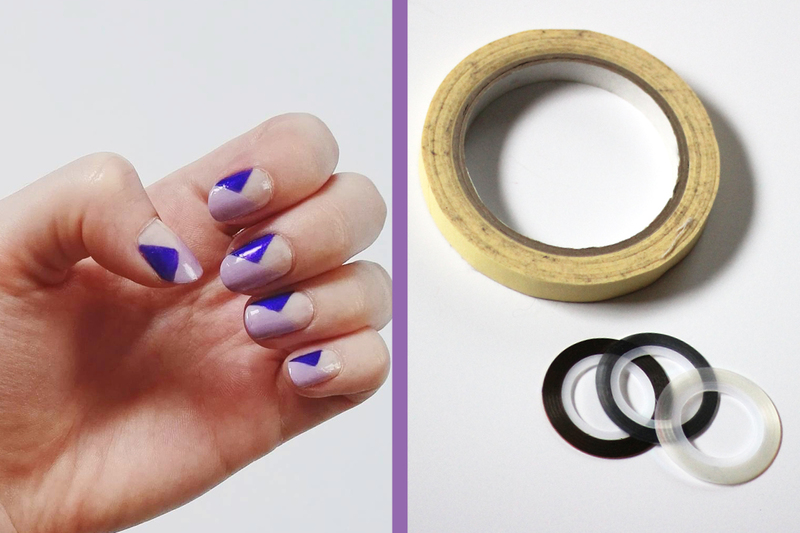 Do you do artistic designs on your nails? Have you tried any of the ways I've shown above? Will you try any of them? 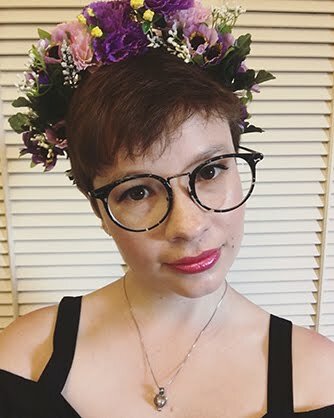 Tag me in your photos on Instagram or Twitter if you do @louiseberyllium! Thanks for your detailed explanations. I love the gradient nails! 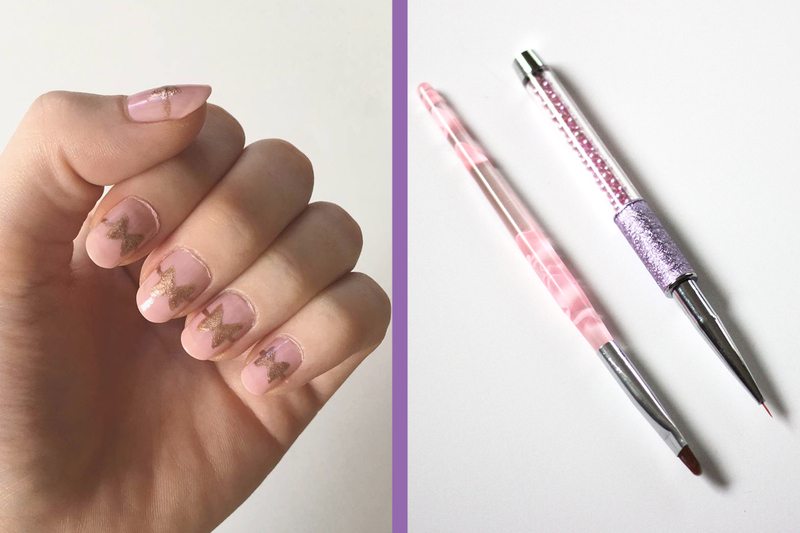 I'm so glad you shared this amazing nail art! Thank you! The gradients are probably my favourite way to go haha!